BICSI (Building Industry Consulting Services International) Organisation. 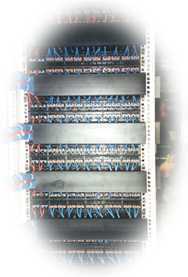 Cable Works Pty Ltd is a BICSI Corporate member. BICSI is an international professional not-for-profit telecommunications association to serve those who are responsible for the design & distribution of telecommunications wiring for commercial buildings. Membership is currently approximately 17,000 members from 85 countries. Partnering with some of the largest Information Technology and Telecommunications Companies across Australia has placed Cable Works in a strong position for future growth. Through further development of these relationships, Cable Works will continue to deliver quality products and services to its Customers.